Kailash Parbat has a history dating back to the 1940s, when it was first opened in Karachi, Pakistan, by the Mulchandani brothers. Following the partition, the brothers moved to Mumbai, India, and set up shop there in 1952 – the story goes that instead of escaping with their jewels and other valuables, as most did during the partition, the brothers instead brought their cooking utensils! Since then, this eatery specialising in vegetarian Indian cuisine has expanded around the world, with branches from Australia to the US. 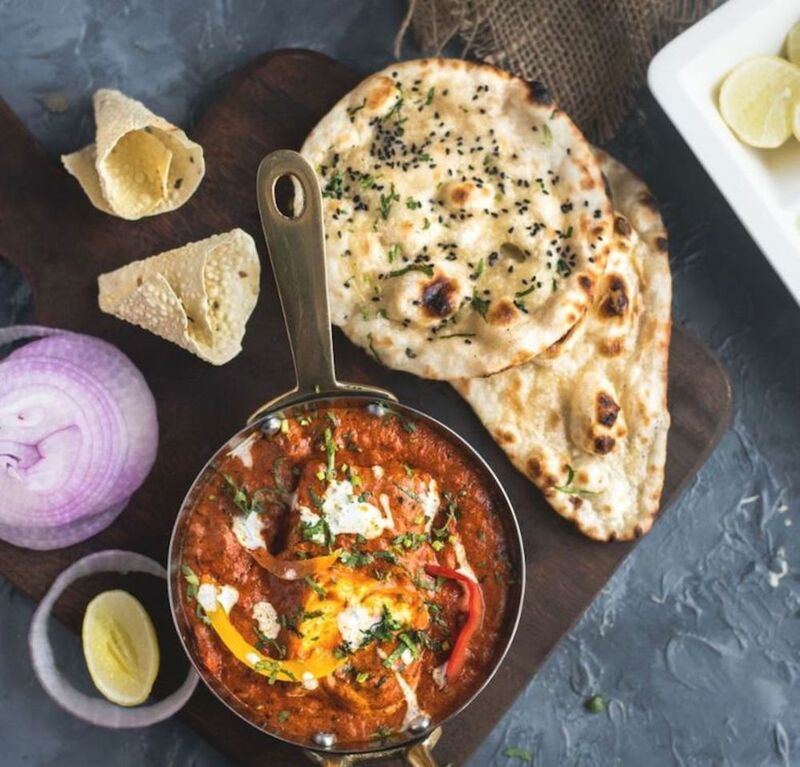 If you’re a vegetarian or – like us – simply prefer more veg than meat on a daily basis, India offers arguably some of the best meat-free dishes of any cuisine anywhere in the world. 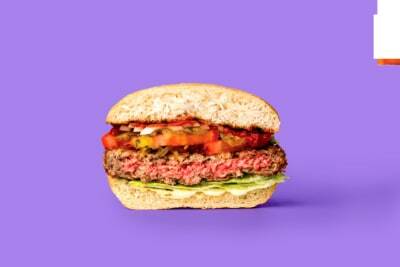 It’s colourful, varied and bursting with flavour. Unfortunately, despite the sizeable Indian population in Hong Kong, the Indian food we normally encounter in the 852 is not even close to being authentic, often overly sweet and oily and made with the use of plenty of packets and pre-prepared mixes. That’s all changed with the opening of Kailash Parbat. 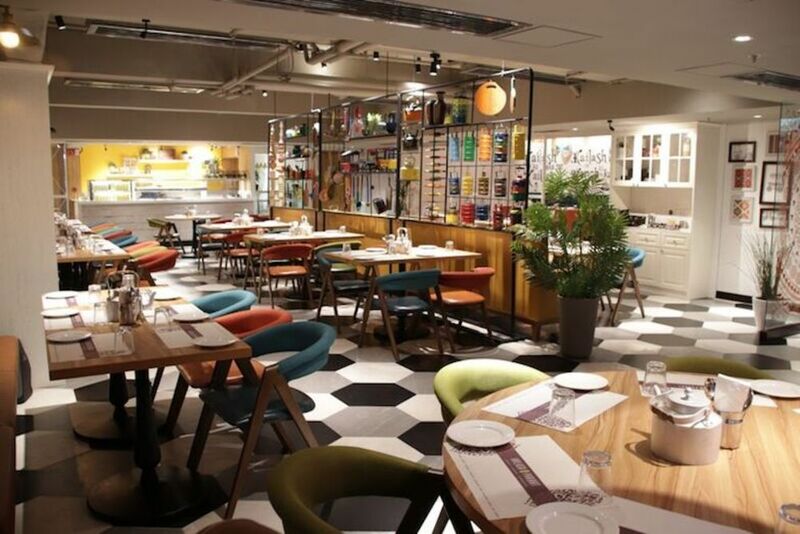 Overseen by the genial granddaughter of one of the Mulchandani brothers, the Hong Kong branch of Kailash Parbat is just as bright and inviting as the dishes diners tuck into. 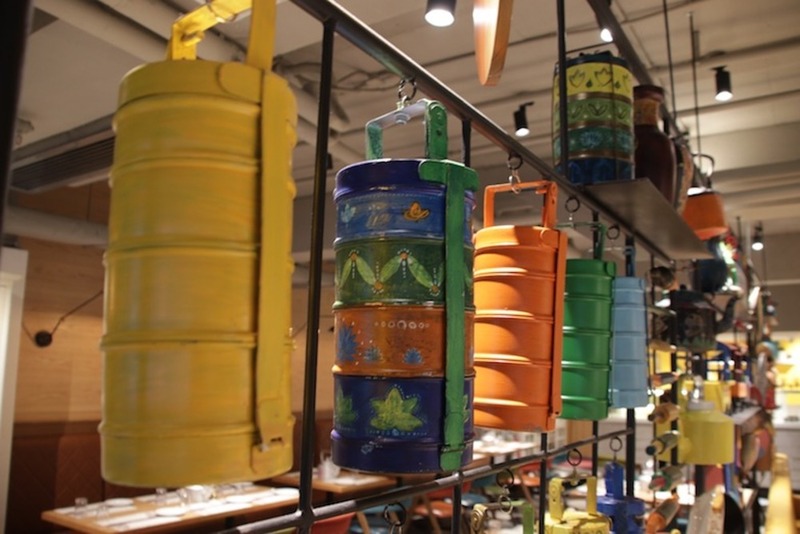 We especially loved the row of colourfully painted tiffin boxes that acts as a centrepiece of the dining room. The menu reads like a Bible of vegetarian Indian cuisine, and for that reason, we strongly suggest going in a group so that you can try as many dishes as possible, which are very generous in portion. 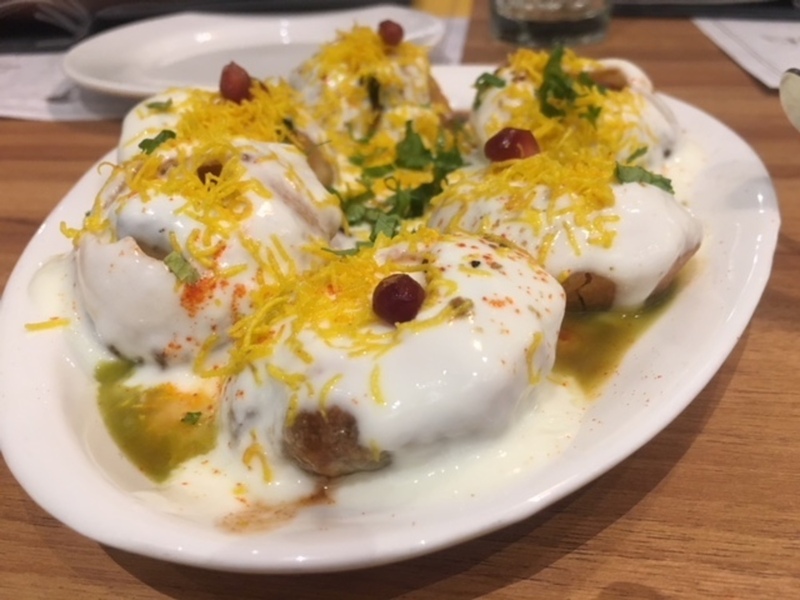 Everything is made from scratch at Kailash Parbat (even the pastry balls and sev in the bhel puri – no mean feat), and you can taste the difference in the freshness of the ingredients and spices. Bombay bhel puri ($70): an iconic Bombay street-food snack, pop one of these fried pastry puffs into your mouth and you’ll be hit with a dazzling array of flavours and textures, from the yoghurt topping flecked with pomegranate seeds and crispy sev, to the diced potato and onion, to the puffed rice, to the garlic relish and green chilli chutney. Chinese bhel puri ($70): a Hong special for Kailash Parbat, this dish features a unique mix of flavours common to Indian-Chinese cuisine (and not seen outside India). Think crunchy fried noodles, julienned pepper and carrot and a mix of sweet-and-sour and spicy sauces. 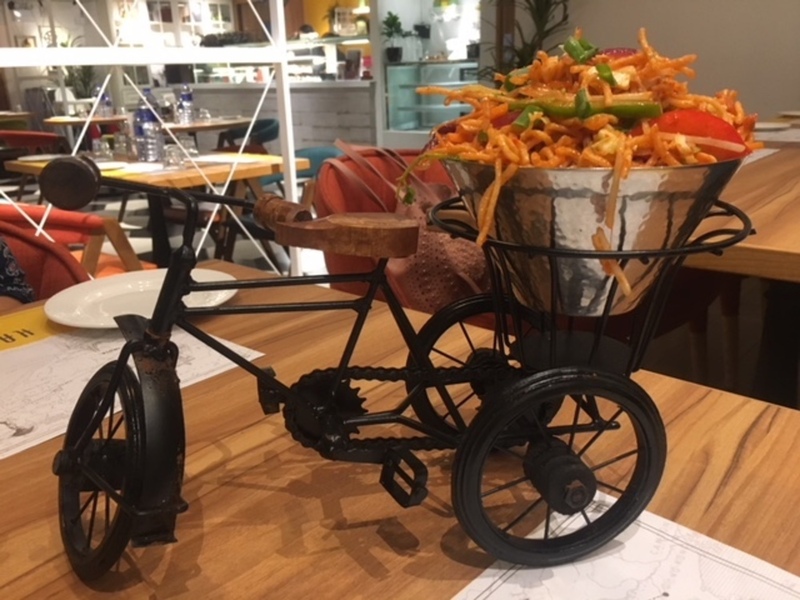 Fusion food at its finest (and that mini bike’s pretty cute too). 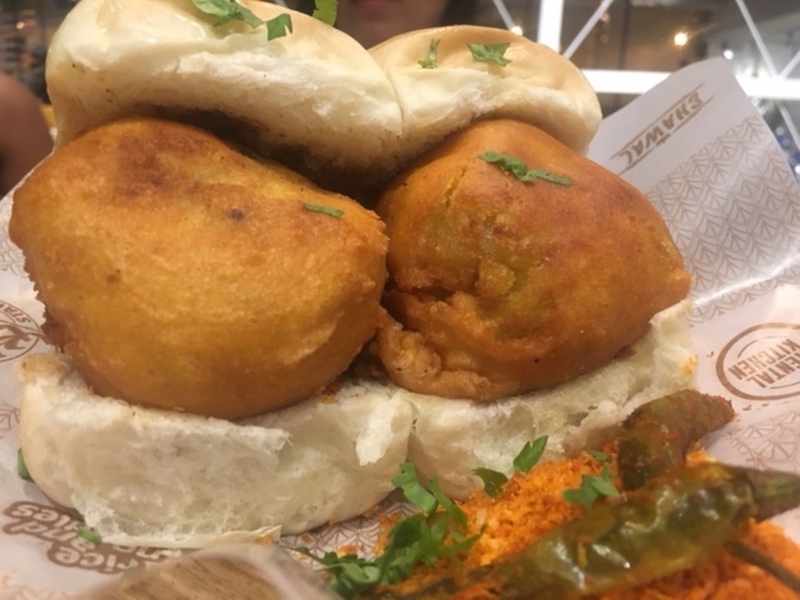 Vada pav ($65): Bombay’s veggie burger of choice, these are monster-sized deep-fried potato-based patties stuffed inside fluffy, toasted and buttered pav buns. 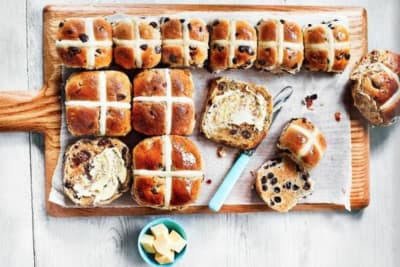 We loved the zing of the green chilli and punch of the mustard seeds in these babies. Chole bhaturas ($85): this is one typical North Indian breakfast dish we wish we’d see on more menus, brekkie and otherwise. 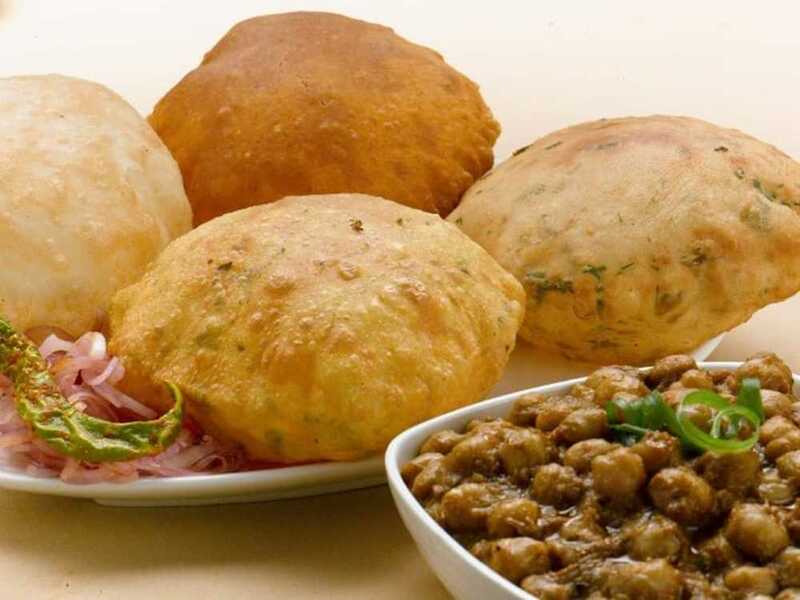 The signature bhaturas (deep-fried puffed bread that’s hollow inside) here are gargantuan in size and perfect for soaking up the well-spiced accompanying chickpea curry. Paneer tikka lababdar ($85) with garlic naan ($30): these impossibly tender clay-oven-baked paneer (milk-curd cheese) cubes were bathed in a dreamy, creamy tomato-based gravy. The crisp yet fluffy garlic naan was a worthy counterpart, a great vehicle to cut through the richness of the gravy.